Happy New Year everyone. gpfm’s Managing Directors Scott Atkinson and Simon Frost look back at an eventful 2016 (which saw the company beat their budget by around £100k) and share their predictions for 2017. 2016 was a big year for the whole team at gpfm. Emma Saunders joined the team as a new financial planner, supported by another new recruit Sue Wade as her Paraplanner. A Paraplanner is an essential support function to our Financial Planners, providing comprehensive research in-to the right investment, tax or product solution for our clients. Halfway through the year Lucy Cunningham joined as an apprentice. She impressed us so much that we gave her a permanent job as Administrator in December of 2016. As part of our commitment to giving younger people opportunities, we also now have a new apprentice, Alfie Thompson. We continue in to 2017 looking to grow the business, and have recently appointed another new Financial Planner, James Melhuish as part of this strategy. James joined us on 16th January 2017. A big warm gpfm welcome to you all. It was a year of celebrations for some of our team last year as we saw them take some big steps in their lives. Big congratulations to Simon Frost on the birth of his baby daughter Isabella on 7th January 2016. To Dave Shepherd on his marriage to Cheryl in September and to Lewis Keates who has taken the big step onto the property ladder in December. 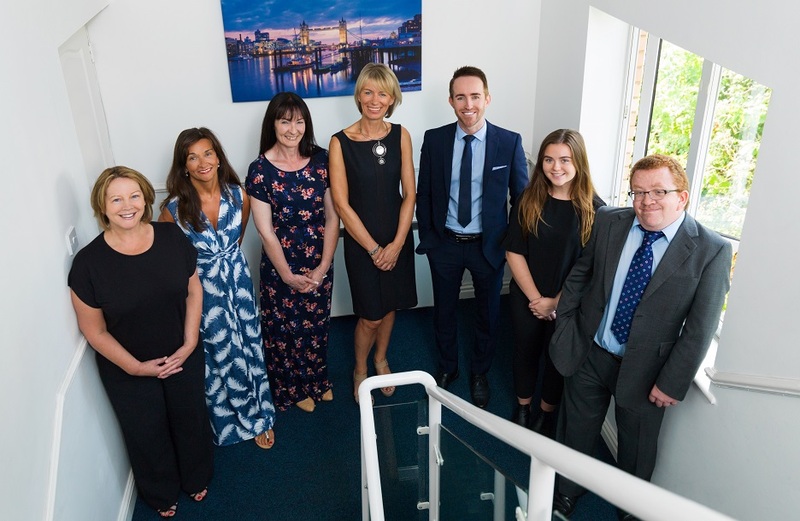 We successfully launched our new back office system called Enable, which has helped us deliver more efficiency in the business and will soon allow clients access to their own records to view their total wealth, as well as become more interactive with our systems. gpfm financial planners is actively dedicated to its corporate social responsibility and it’s this dedication that saw us sponsoring multiple cause’s this in 2017. This included one of our clients Matt O’Conner who with his team cycled off road on mountain bikes over 530km, from Snowdon to Lands Ends to raise money for Perennial, the only charity dedicated to helping all horticulturalists in need. Congratulations to everyone who took part, you’ve truly done us proud. We also sponsored Amanda Walker’s charity run for the Alzheimer’s Society, and Crystal Mack as she took part in the Moonwalk for breast cancer in summer of 2016.
gpfm is a proud sponsor of Hemel Storm Basketball team, sponsoring them for the 2016-17 season. We were also able to provide support to the Broxbourne Bridge Club with our sponsorship. In September 2016, gpfm sponsored a hole at the Martyn Ginder memorial golf day at Harpenden Common Golf Club. We also supported the Golf Club through our advertisement in their corporate brochure for the 2016-17 season. In April 2016 at Fanhams Hall, Ware, gpfm held a seminar on the changes to taxation rules for dividends, the options available for profit extraction plus an update on the ‘new world’ of pensions. It was a great success and we hope that everybody who came along found the content useful and enjoyed it as much as we did. We’d like to wrap-up by praising our team, both old and new. Every individual has worked extremely hard to deliver a strong year for us and our clients. We look forward to continued growth in 2017, all made possible by our loyal clients, new technologies and our dedicated team. Thank you.